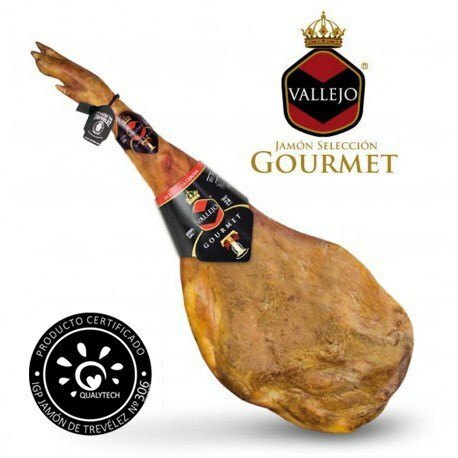 Vallejo Gourmet ham is a top-quality, limited edition ham certified by the Jamón de Trevélez Regulation Council (only 1 500 pieces). Produced using an English pig breed, its meat is especially flavoursome and mild, containing between 3% and 4% more marbling than standard pigs. 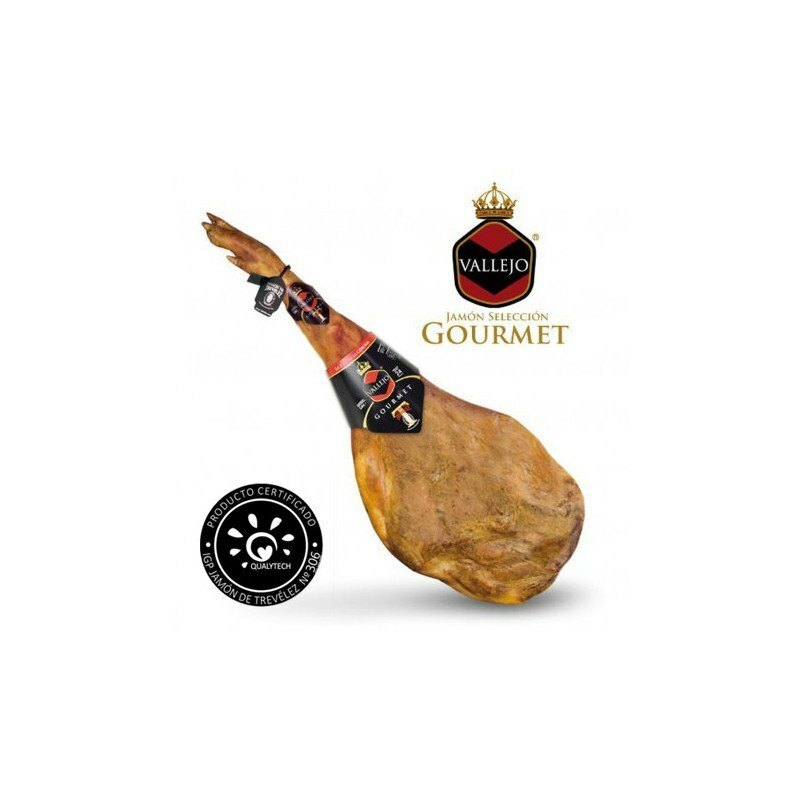 This lends to great flavour, aroma and texture that is similar to traditionally cured ham, since the pigs were given completely natural feed, including traditional cereals such as barley and wheat. Cured for more than 24 months. The ham also has a low salt content: less than 4.5%. It is probably the best white ham in the world. Between 7.5 kg and 8 kg. Weight 8.5 a 9.2 kg. Average curing time Curación de 20 a 24 meses.